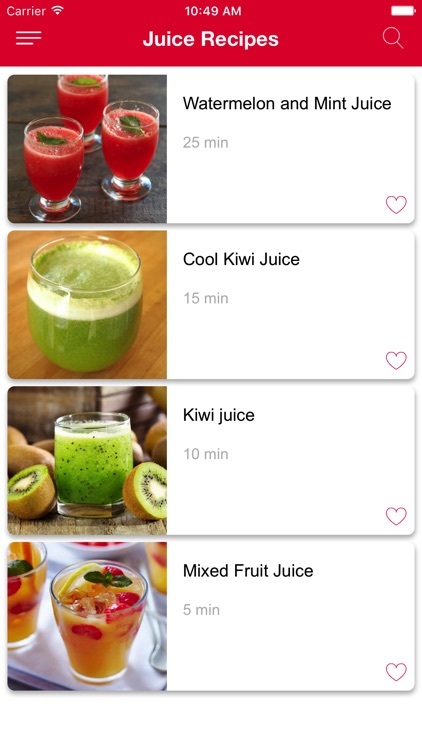 The Fruit Juice Recipes application compiles a lot of amazing ways of making different fruit juice. 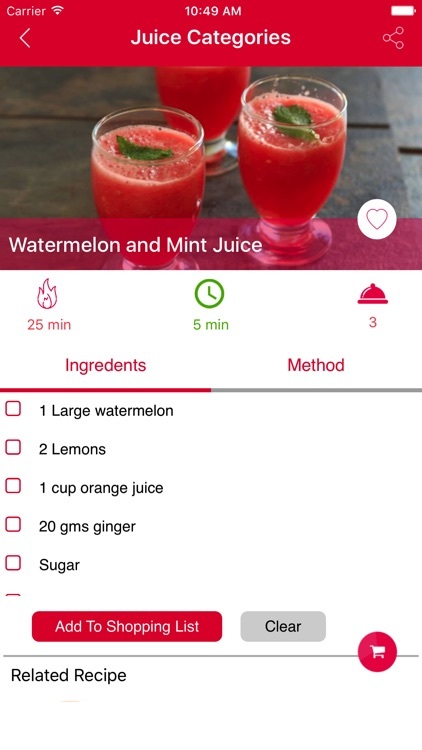 there is the how to make strawberry fruit Juice, Smoothie, Lemonade. Cider and so much more for the user to play with. 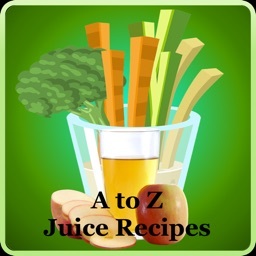 Fresh Healthy Juices recipes includes Apple Cucumber Juice, Carrot and Red ... 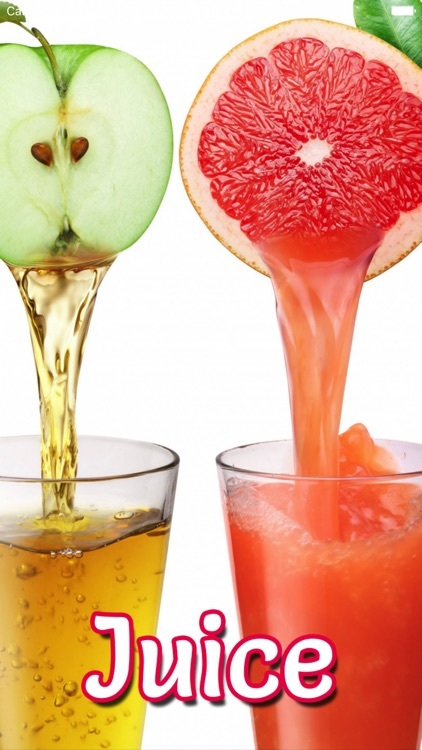 These appetising juices are made from natural fruits and vegetables. 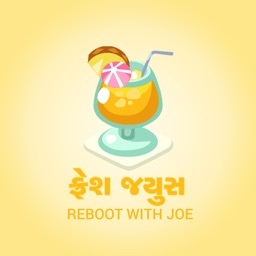 Collection of milkshake, fruit juice, smoothies and other beverages. 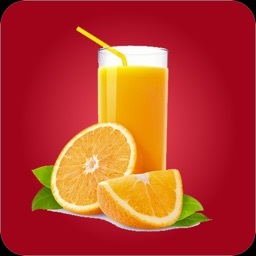 You can find few delicious and refreshing Homemade Fruit Juice Recipes, Smoothies and Milkshake Recipes from across the global. Having Daily fruits or vegetables Juice, incorporates high-nutrient ingredients into delicious juices. Start with sweet and refreshing ingredients such as berries and carrots, then slowly add nutritious leafy greens and earthy vegetables to gain the maximum health benefits. 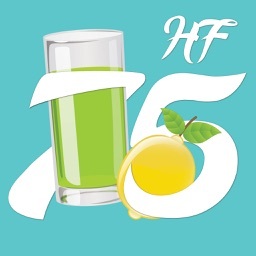 Eat healthy food and make your life healthy now! 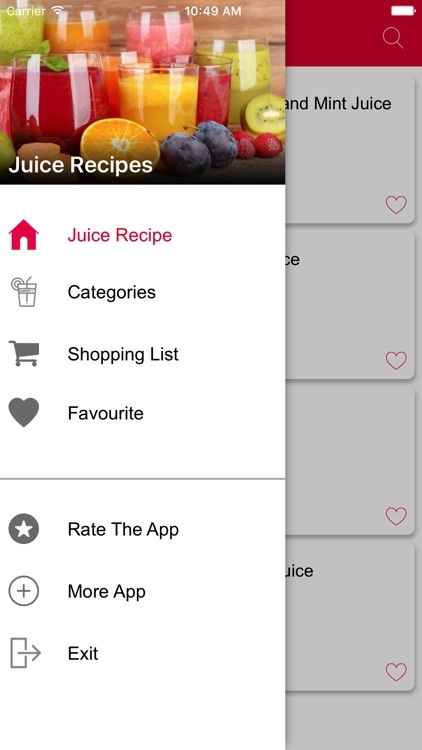 This apps recipes can also be called as healthy recipes for weight loss. 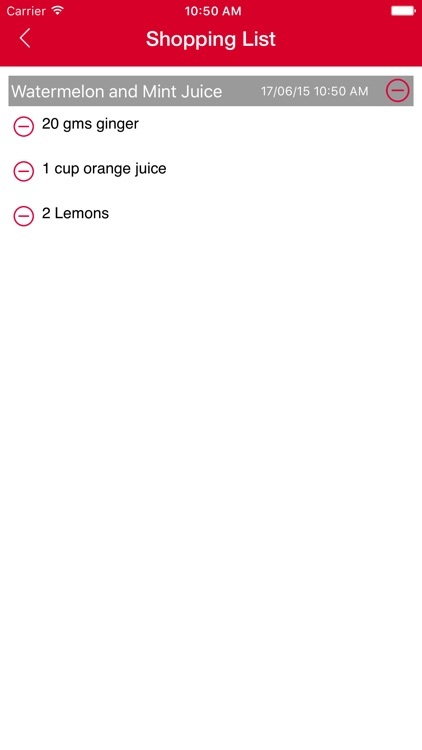 It is one of the easy recipes and tasty recipes app. 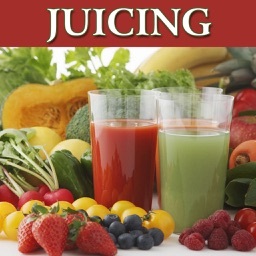 healthy juice recipes fruits and vegetables mixed juices are also in list. So you can now follow one of them. 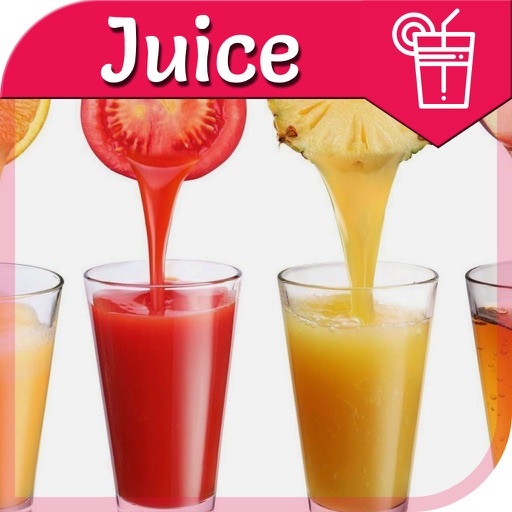 healthy juice recipes fruits and vegetables are pretty common in any juices ingredient list. Try one now. Please feel free to email me if you have any problem.